Nucleotides are the building blocks that make up genetic material. 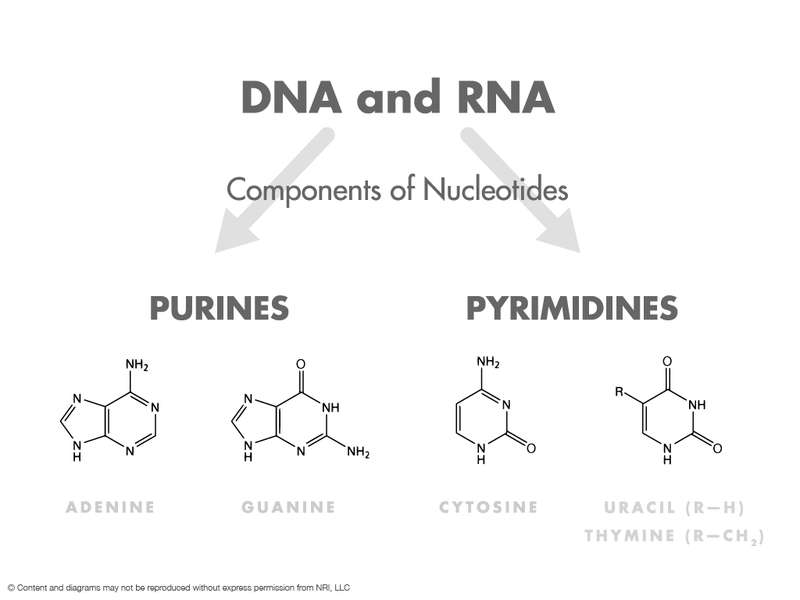 Nucleotides form the basis of both DNA and RNA. Most people are familiar with the concept of DNA as the genetic blueprint that is responsible for your individuality. But many are not familiar with RNA. Before describing RNA is it is necessary to digress a moment and explain DNA. DNA or the building blocks of life are remarkably simple and efficient. There are only four building blocks to DNA, otherwise known as the bases. Understanding these four bases would be equivalent to learning a new alphabet that only had four letters. It is not difficult. The mystery and aura that surrounds the concept of our “genes” or the “building blocks of life” or “molecular biology” create an impression that DNA or RNA are not available to everyone; that they are reserved for just the privileged few that understand molecular biology. That is nonsense! DNA and RNA are elegant in their simplicity. They truly are the basic building blocks of life. They are simple and accessible to all of us both intellectually, as well as in nutritional formats. In fact the makeup of DNA is so simple that until 1944 many scientists believed that DNA could not be “the stuff genes are made of”, as it did not contain enough complexity to explain our vast genetic diversity (Avery, 1944). All life is formed as a consequence of the combinations of only these four bases. These four bases carry the information for every life form known to exist. This includes the 100 trillion cells, which make up the human body, all of which contain the identical and unique DNA for a given individual. An individual’s particular DNA sequence can be looked at as spelling with only four letters. The fact that the length of the “word” is so long enables only four distinct letters to ascribe a distinct “spelling” to each persons “word” that belongs to them and to no one else. The total length of DNA present in one adult human is calculated to be 3 X 1013 meters or the equivalent distance from the earth to the sun and back again. 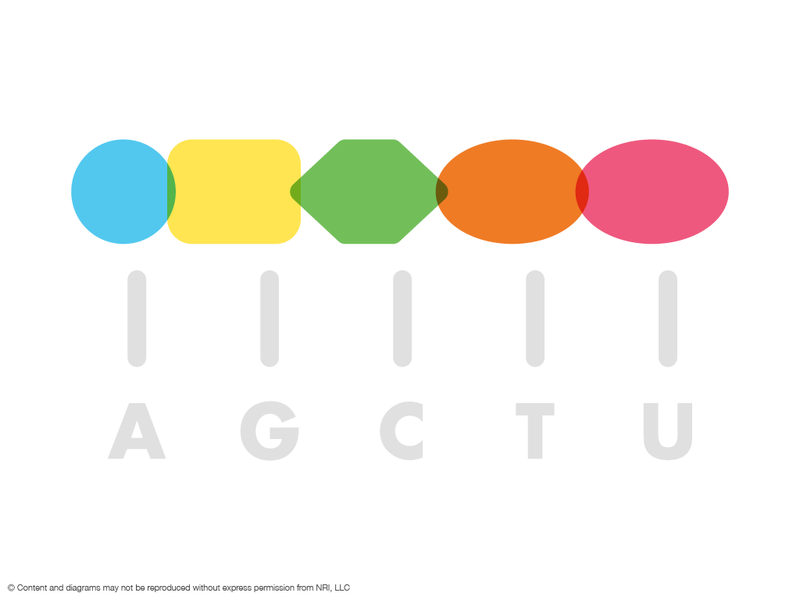 The letters or alphabet that we use to “spell” DNA are A,C,G,T. These letters actually stand for the names of the DNA bases, adenine, cytosine, guanine and thymine. Rather than thinking in terms of spelling, another way to look at DNA is like stringing together a toy necklace made of the large, hollow plastic beads that snap together to form a chain that we are all familiar with from childhood. A (adenosine) might be the blue colored circle shaped bead. G (guanine) the yellow rectangular shaped bead, C (cytosine) the green hexagonal shaped bead, and T (thymine) the oval orange bead. These beads or DNA bases can be linked together in any combination to create a unique, one of a kind necklace that belongs to and defines only you. Purines and pyrimidines are the names given to the types of “beads” in our plastic snap together necklace. Our blue (adenosine) and yellow (guanine) beads are called purines. The green (cytosine) and orange (thymine) beads are called pyrimidines. An easy way to remember which ones are which is that the pyrimidines both have “y”s in their names, cytosine and thymine, just like pyrimidi­ne does. 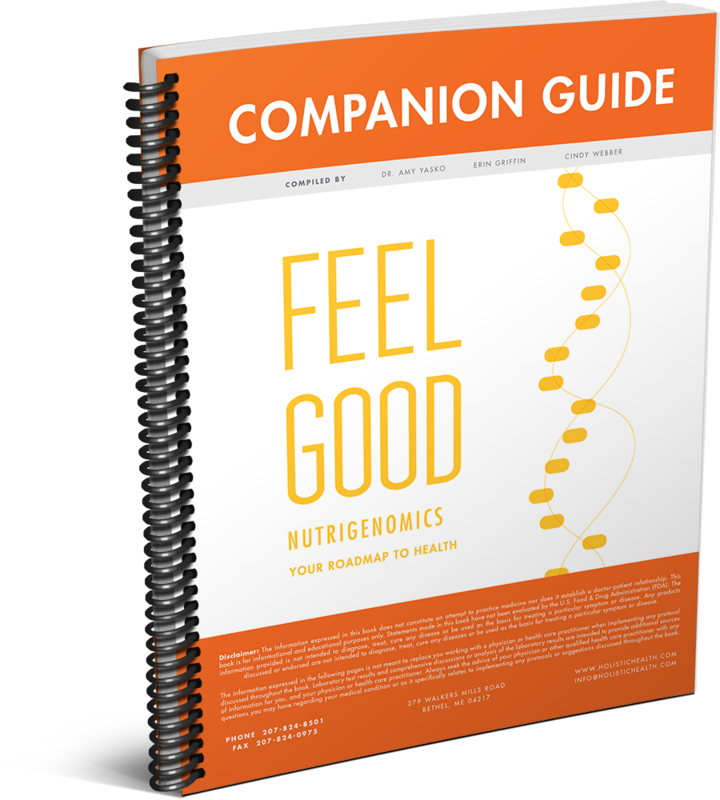 A nucleotide blend is simply a mixture of nucleotides from either DNA or RNA.